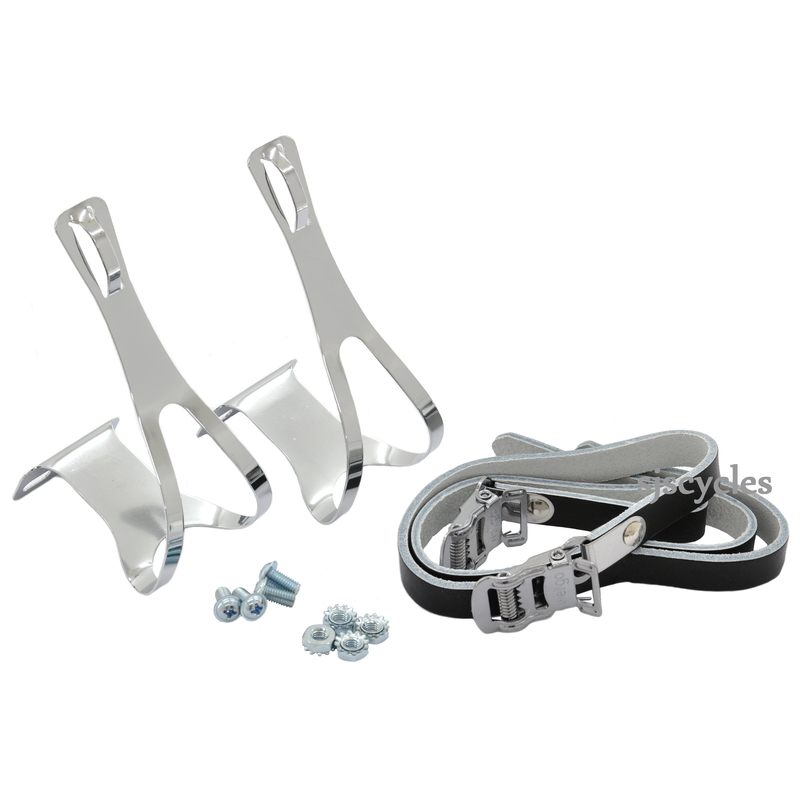 Steel toe clips complete with single leather straps. Compatible with Christophe style fitting. What size are these? The Wellgo website states 3 sizes for this model. Unfortunately we get these from a distributer and they only bring in this version and they don't provide a size, we purchased them under the impression they were only available in the one size.